A number of investors think were close to the bottom, says Michael Lynch, president of Strategic Energy and Economic Research. Money managers raised their net-long position in U.S. crude to the highest in two months in the week ended Dec. 9, U.S. government data show. Most of the change came from short holdings contracting to the lowest level since August. Oil fell to a five-year low last week after OPEC producers including Kuwait and Iraq reduced prices and the International Energy Agency cut its estimate for global demand for the fourth time in five months. Saudi Oil Minister Ali Al-Naimi indicated he won’t trim supply, reiterating OPEC’s decision last month to leave the group’s production target unchanged even as the U.S. pumps the most oil in more than three decades. 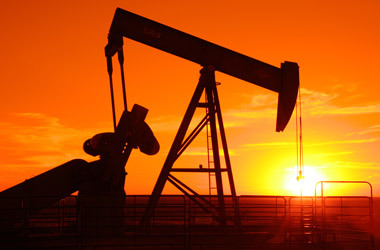 WTI sank $3.06, or 4.6 percent, to $63.82 a barrel on the New York Mercantile Exchange during the CFTC report period. The U.S. benchmark fell $1.29, or 2.2 percent, to $56.52 a barrel at 12:56 p.m. on the New York Mercantile Exchange. Brent dropped 52 cents, or 0.8 percent, to $61.33 a barrel. Shares outstanding of the four biggest U.S. exchange-traded funds that follow oil prices, including the United States Oil Fund (USO) and ProShares Ultra Bloomberg Crude Oil, increased to 96 million on Dec. 11, the most since January 2013, according to data compiled by Bloomberg. Investors added $264.5 million into the four funds so far this month, following a $559.85 million inflow in November that was the most since June 2012. OPEC’s three largest members, Saudi Arabia, Iraq and Kuwait, are offering oil to Asian buyers at the deepest discounts in at least 6 years. “Why should I cut production/?” Ali Al-Naimi, Saudi Arabia’s oil minister, said in response to reporters’ questions Dec. 10 in Lima, where he’s attending United Nations climate talks. The U.S. pumped 9.12 million barrels a day in the period ended Dec. 5, the most in weekly Energy Information Administration started in 1983. The gain came as horizontal drilling and hydraulic fracturing unlocked supplies from shale formations. Oil fell last week as the IEA, OPEC and EIA reduced their estimates of global fuel consumption next year. The Paris-based IEA’s 2015 projection was trimmed by 230,000 barrels from last month, according to a Dec. 12 report. The net-long position in WTI rose by 6,894 contracts to 191,268 futures and options in the week ended Dec. 9, the most since Oct. 7, U.S. Commodity Futures Trading Commission data show. Short positions decreased 8.5 percent while long positions increased 0.3 percent. For Brent crude, hedge funds and other money managers raised bullish bets 10 percent to 107,287 contracts in the week ended Dec. 9, according to data from the ICE Futures Europe exchange. It was the highest level in four months. In other markets, bullish bets on gasoline advanced 13 percent to 48,813 contracts, the most since July. Futures decreased 4.9 percent to $1.7236 a gallon on Nymex in the reporting period. Retail gasoline, averaged nationwide, slid to $2.56 a gallon on Dec. 13, the lowest since October 2009, according to Heathrow, Florida-based AAA, the largest U.S. motoring group. Bearish wagers on U.S. ultra low sulfur diesel increased 12 percent to 22,702 contracts. The fuel slipped 3.3 percent to $2.084 a gallon in the report week. Net-long wagers on U.S. natural gas fell 28 percent to 42,663 lots, the lowest since October. The measure includes an index of four contracts adjusted to futures equivalents: Nymex natural gas futures, Nymex Henry Hub Swap Futures, Nymex ClearPort Henry Hub Penultimate Swaps and the ICE Futures U.S. Henry Hub contract. Nymex natural gas dropped 5.7 percent to $3.652 per million British thermal units during the report week. Crude production will have to drop before prices rise significantly, according to Katherine Spector, a commodities strategist at CIBC World Markets Inc. in New York. The IEA boosted projections for supplies outside OPEC in 2015 by 200,000 barrels a day. U.S. production will expand by 685,000 barrels a day, the agency said.